Sudhir Warrier joined the company in 1990 in the capacity of a waiter, whilst studying. He rose through the ranks to be the CEO by 1998. Since then, he has been instrumental in taking the company to greater heights. With the wealth of experience garnered working with high profile tourism professionals who were past directors of the company, he is now recognised as one of the industry leaders within the Australian tourism space. Warrier has also been a director of the Australian Tourism Export Council for 4 years and a member of the Tourism Australian Advisory Panel in the past. Jonathan is our Deputy Chair for Australian Cruise Group. The Executive Board of Australian Cruise Group reports to the Deputy Chair. He has extensive experience within banking, commercial and corporate business sectors in Australia. Olivia Angsioco is the current Chief Operating Officer of the company. She has been with Australian Cruise Group since 2013 and held the position of CFO for 5 years. She is responsible for executing company strategies and meeting its objectives. Olivia is a qualified CPA and worked with leading restaurant group, Wagamama, in a senior management role prior to joining our team. Ram has been an essential part of the team since 2012. He is responsible for the Digital/Online revenue stream, providing strategic leadership and web presence management direction to the offshore service delivery unit. He has over 18 years of experience that includes leadership roles at Xerox, RR Donnelley and Northgate Arinso. Dickson is the Financial Controller of the company and has worked with us for the last 7 years. He holds a CPA and is responsible for all financial operations of the company. Nick is our Marine Operations Director primarily responsible for the day-to-day operations of our diverse cruise operation. He is both well-liked and respected by his peers and teams. Nick is a classic example of meritocracy, working his way up the corporate ladder from the role of a reservation call centre employee to leading one of the largest teams within our business in a very short span of time. Captain Phillip Edwards is the Senior Captain of the Australian Cruise Group. Phil has over 30 years of experience operating around Sydney Harbour and is considered one of the leaders in the marine industry. Dennis is the Director of Guest Services – a legend within the industry. He is well liked by all of our guests as well as tour operators and tour leaders. 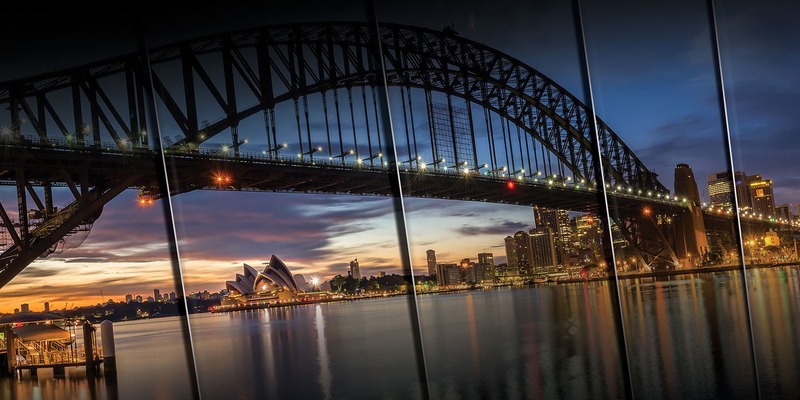 The Sydney Showboat dinner cruise is synonymous with a legendary welcome from Dennis on the gangway before you board.